This is a rectangular Acorn Fence porcelain sign. 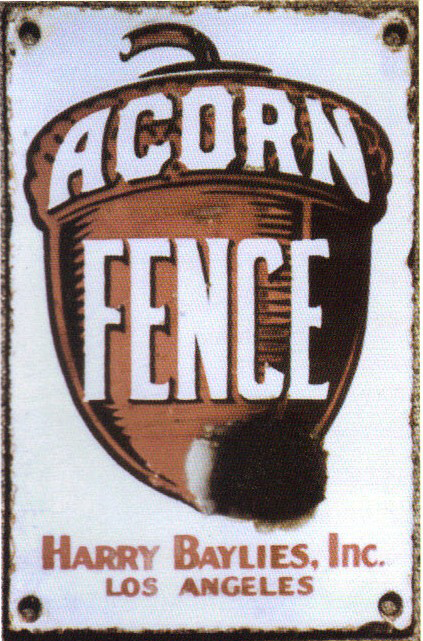 This particular Acorn Fence sign features a large brown acorn with a white background and text. It reads, “Acorn Fence, Harry Baylies, Inc., Los Angeles”.